Application form will be in a format that can be processed by Optical Mark Reader (OMR). Cost of LPUNEST Kit (Application Form) is ₹ 500 (for Boys) and ₹ 250 (for Girls). Application fee once paid will not be refunded. 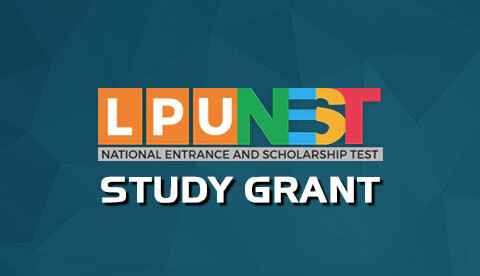 Applicant can apply for LPUNEST without purchasing LPUNEST Kit. Online Application: Apply through the University Website (Online Banking facility required). Fill the application form. Click Here to apply. Pay ₹500 (for Boys) and ₹ 250 (for Girls) online when prompted. Note: For online application, Applicant should have Online Banking facility through Net banking / Debit card / Credit card. Fill the full application form (OMR sheet) after reading all the instructions as specified under the head “Instructions for filling Application Form (OMR sheet)” and sent it to the university in the self-addressed envelope. All our correspondence including centre booking and issue of Hall Ticket details will be through email only. Therefore, the applicants are requested to get ready with valid email id and mobile number for contact. No separate communication will be done for the same. Incomplete application (For example: Declaration not signed) will not be processed. LPU will not take responsibility to inform these applicants. Such applicants will not be able to access the Online Slot Management. Applicants are hence advised to ensure that the duly filled in application is dispatched along with complete enclosures in all respects. For Applicants who booked their test slot themselves: The Hall Ticket will be generated immediately after the applicant books the slot through the online slot booking system. For Applicants whose test slot is booked by the University: The Hall Ticket will be generated after 48 hrs. of receiving of application form and will be made available on the website. However all application received before the start date of the slot booking will be processed only when Online Slot Management will be activated (For details refer Important Dates). Applicant should provide the application username and password to download the Hall Ticket. Applicants must provide valid email ID in the application form. The Hall Ticket will NOT be dispatched to applicants via post or fax. Applicants should ensure that a printer is connected to their computer while printing the Hall Ticket. Applicants should take two printouts of the Hall Ticket using the print option on A4 size paper only. Please ensure that all information on the Hall Ticket is clearly visible on the printout. No applicant will be permitted to appear for the test without a valid Hall Ticket. The applicants must not mutilate the Hall Ticket or change any entry made therein after it has been authenticated and received by them. The Hall Ticket is not transferable to any other person. Impersonation is a legally punishable offence. The Hall Ticket is an important document; it must be preserved and produced at the time of admission also. Candidates younger than 18 yrs. Old: School IDs acceptable. The applicant sits in front of the computer and the questions are presented on the monitor and the applicant submits his/ her answers through the use of the mouse. The computer is connected to the server, which delivers the test, in real time through a reliable connectivity. Online Entrance test assumes that the applicant has basic familiarity with use of computers like use of keyboard and mouse operation. It is the responsibility of the applicant to acquire these skills before appearing in the test and the University cannot take responsibility for the same. The applicants must ensure that the computer allotted to them is switched on and any problem with the computer should be informed to the invigilator immediately. He/ She will appear for exam in English. All questions will be of the multiple choice questions (MCQ). Each MCQ will consist of a stem which may be in the form of a question or an incomplete statement and four responses labelled A, B, C and D. One of the four responses only is the correct or most appropriate answer. Applicants must choose the correct or most appropriate answer by clicking on the button next to the answer. Applicants can navigate freely through the questions. All rough work should be done in the paper/s supplied in the Test Centre. No paper/s should be taken to the test hall for this purpose. Applicants should arrive at the test centre as per the reporting time mentioned in the Hall Ticket. Prior to the start of the actual test, there will be pre-test process which includes registration and on-site orientation. If an applicant arrives after the on-site orientation has begin, he/ she will not be allowed to take the test. The test hall will be opened 30 minutes before the commencement of the test. The applicant has to register his/ her name at the registration counter. The Hall Tickets of the applicants will be checked to satisfy about the identity of each applicant. A photograph of the applicant will be clicked at the test centre for verification purpose. Each applicant will be given a seat with a computer. Applicants must find out and occupy their allotted seats at least 15 minutes before the commencement of the test. Applicants will not be allowed to carry any textual material, printed or hand written, bits of papers or any other material except the Hall Ticket and ID Proof inside the test hall. Applicants are also not permitted to bring calculators, slide rules, electronic watches with facilities of calculators, laptop or palmtop computers, personal stereo systems, walkie-talkie sets, mobile phones, paging devices or any other object/ device that is likely to be of unfair assistance. No applicant will be allowed to go outside the test hall till the completion of the test. Once applicants leave the hall (even if only to answer the call of nature) they may not be allowed to return under any circumstances. Smoking in the test hall is strictly prohibited. Tea, coffee, cold drinks or snacks are also not allowed to be taken into the test hall. There are no waiting facilities for family and friends at the test centre. Applicants should plan to meet them elsewhere after the test ends. Applicants shall maintain perfect silence and attend to their questions only. All actions of the applicant in the test hall will be closely monitored using web cameras and closed circuit TV cameras. 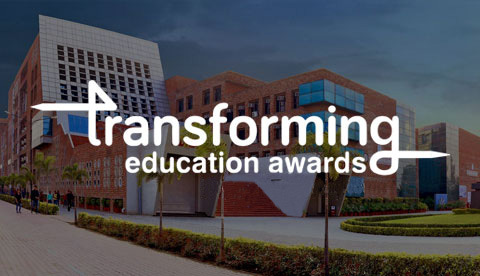 Any conversation or movement or disturbance in the test hall shall be deemed as misbehaviour and if an applicant is found using unfair means or impersonation, their candidature will be cancelled and they will be liable to be debarred from taking examination either permanently or for a specified period to be decided by LPU. LPU reserves the right to withhold the result of such applicants. Applicants must sign the attendance sheet in the presence of the invigilator. The invigilator will also put his/ her signature in the place provided on the Hall Ticket. For appearing in the test, applicants will have to make arrangements for travelling and boarding at their own. Request for the change in date or test centre for LPUNEST may be considered only after submitting the request through his/ her test login. The processing fee of Rs. 200/- will be applicable. It must be noted that the test alteration can only be applied 2 days before the exam date. If applicant misses the exam then the next chance is considered as second chance (if permitted) and he/she can apply by opting for the second chance through his/ her test login.